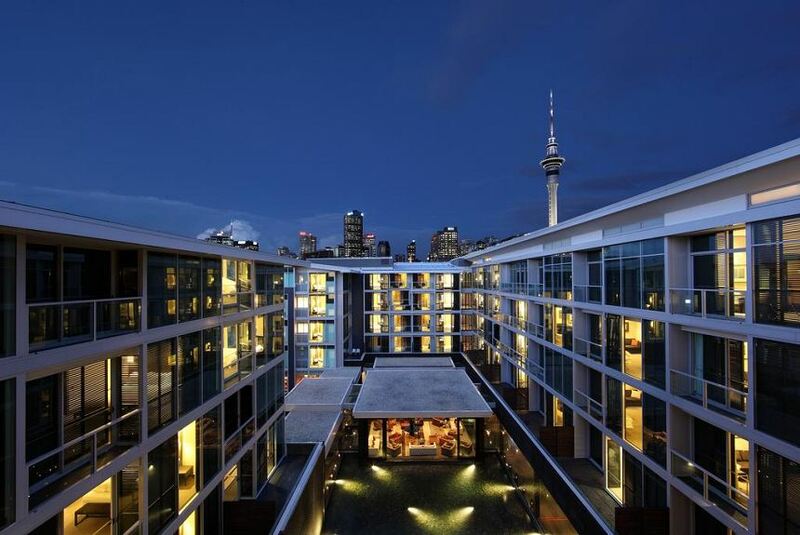 Located at the Viaduct Basin Entertainment Area, surrounded by restaurants and bars, this hotel boasts beautiful views of Viaduct Harbour Basin. Leisure facilities include a large indoor pool and fitness centre. Situated in Auckland CBD (Central Business District), Sofitel Auckland Viaduct Harbour is only 850 m from the bus and train station at Britomart Transport Centre. All luxuriously appointed bedrooms and suites have private balconies, floor-to-ceiling windows and over-sized bathrooms with separate rain showers and deep soaking bathtubs. Guests can dine at the à la carte restaurant, relax with a coffee at the trendy "Viaduct 21" Cafe, or enjoy drinks at the "Sabrage" Champagne Bar. Sofitel Hotel Auckland Viaduct Harbour is a 5-minute walk from Auckland Sky Tower and 10 minutes’ drive from Vector Arena. This property also has one of the best-rated locations in Auckland! Guests are happier about it compared to other properties in the area.